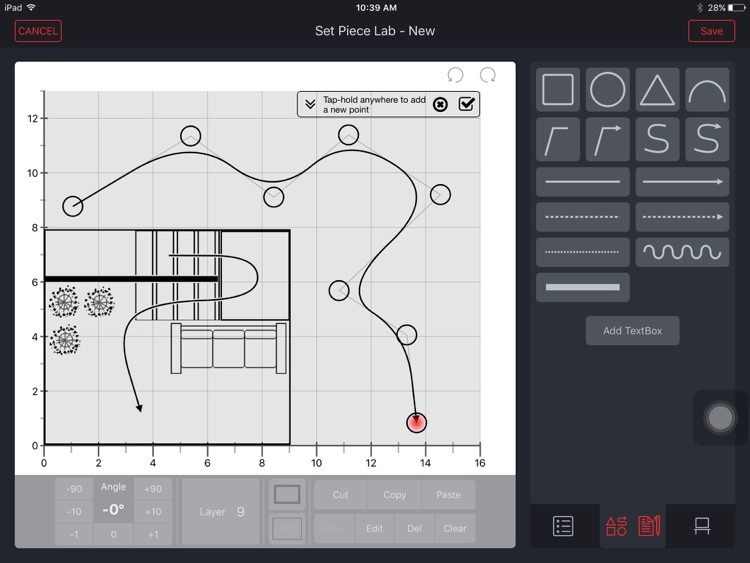 Capture creativity with this revolutionary app designed for directors, choreographers and stage managers. Easily document choreography, spacing, traffic patterns, and movement for theatrical events and productions, as well as cheerleading and marching band formations. 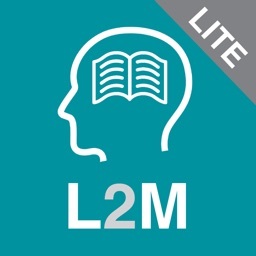 Create dynamic spacing charts, blocking books, and track the complex movements of all moving elements of a production, including details about staging and choreography. 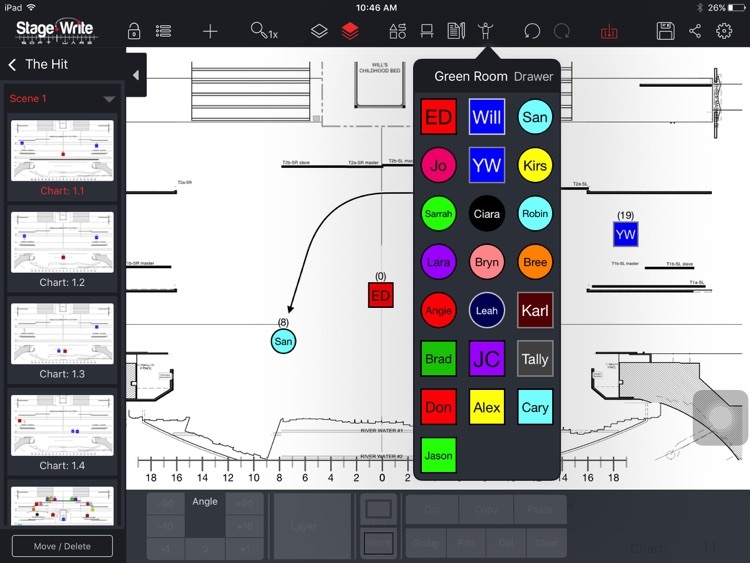 Already being used by numerous Broadway shows and national tours, every detail of StageWrite has been designed to make this task intuitive and simple for productions of all sizes. Create a unique PERFORMER ICON for each performer. 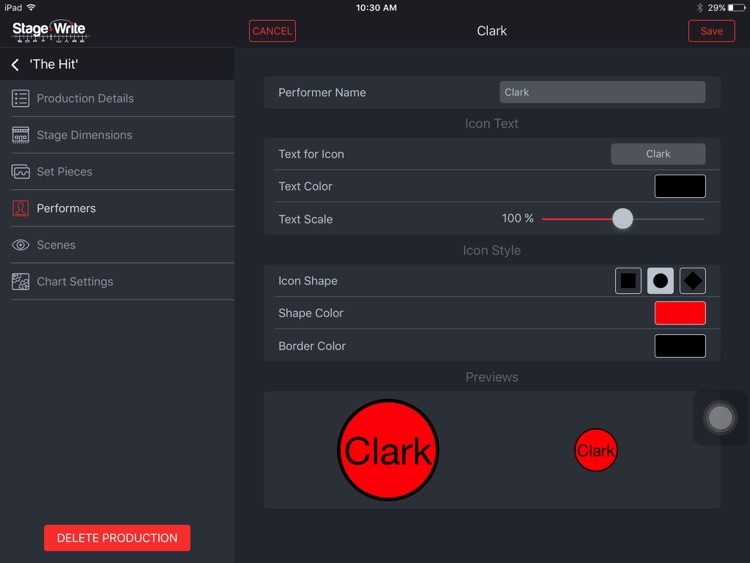 Choose a shape, color, and text label for each performer. The icons are stored in the 'green room' until you need them on stage. With a simple tap you add the actor to the stage and then simply drag them into the correct position. When you place the actor icon on the stage, their position is automatically shown floating over the top of the icon. 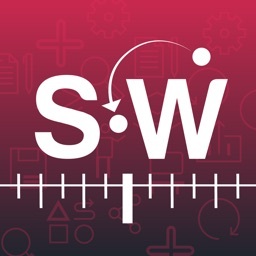 StageWrite allows you to easily set the stage dimensions of your playing area. Draw structural elements (wings, proscenium, etc.) with our easy-to-use drawing tool. Or, if you prefer to to upload the designer's drawings. You can also choose to view the show from the audience's point of view, or from the performer's point of view. 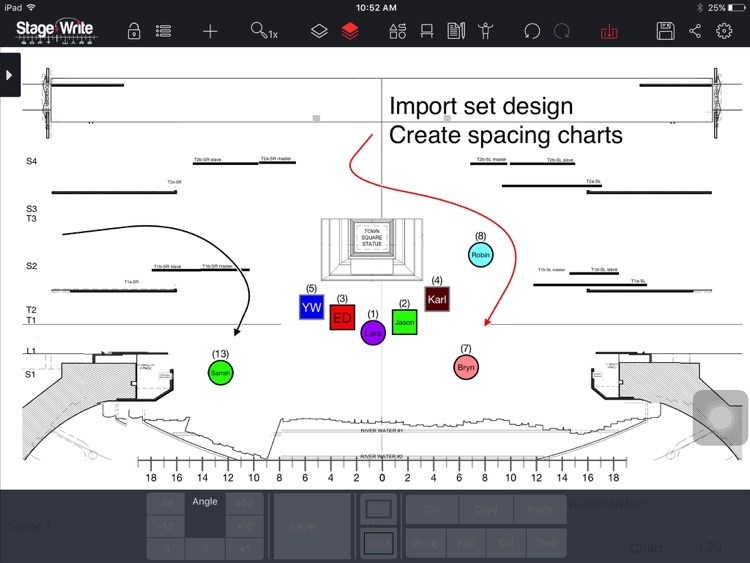 With the StageWrite drawing tool, you can easily do-it-yourself and draw your own scenic units and platforms using the StageWrite catalogue of scenic elements, or you can easily import the drawings of the designer. 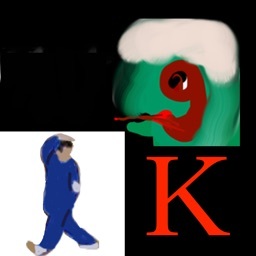 - place the actors, set pieces into position for any specific moment in the show. - identify the cue line or section name for that particular moment, which is shown on the chart. - draw arrows to show the actor or scenic element's pathway and traffic patterns. 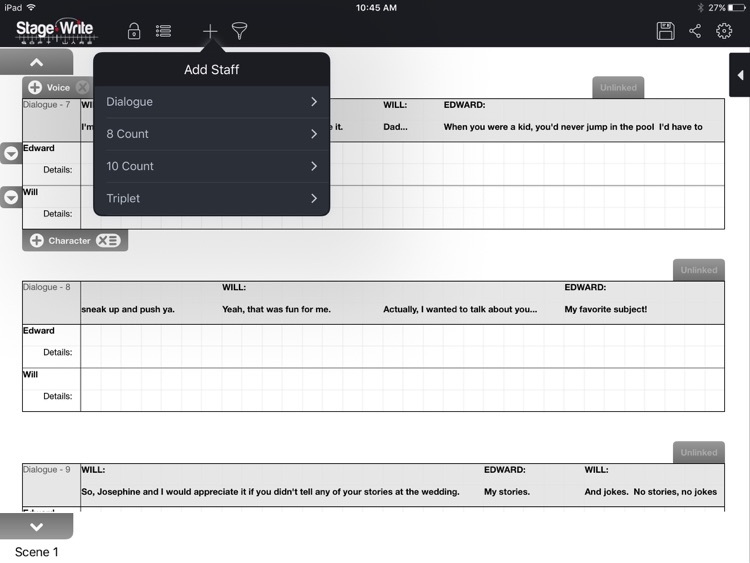 - add notes, text boxes to describe any additional detail about staging, pathway, or choreography. 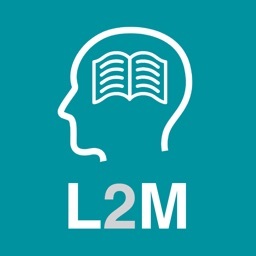 - utilize the automatic chart numbering system, or enter manually, as you wish. - rotate objects on the chart for correct facing. 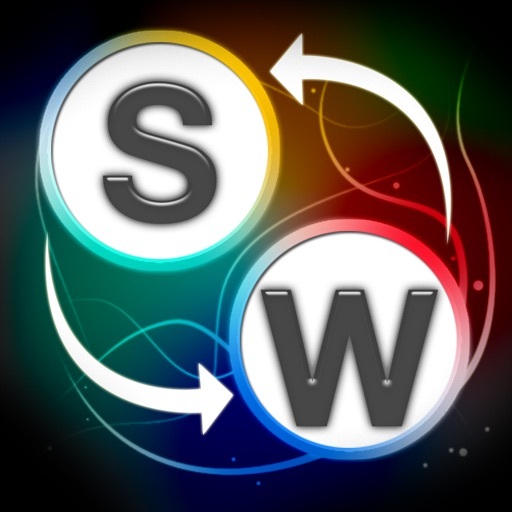 - Share your file with other StageWrite users via Wifi sharing, DropBox, Email to allow them to further edit the file. 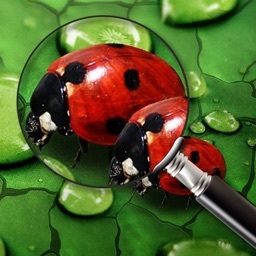 - Send your file as a PDF to others or print. - Create a back-up your charts on your computer each time you sync your iPad with computer. By utilizing The Staging Score method of documentation, the user can enter all of the actions and choreography for all performers. For moments that have no musical timing, a timeline is implemented.For musical numbers, a 'staff' of counts is implemented.In the 'staff' the dialogue, or lyrics all align along the timeline.Each actor has their own line under that staff upon which the actions or choreography can be documented according to the count or moment in time.This allows the user to see 'at-a-glance' what every person is doing at a specific moment. Link your spacing charts to your staging score for a complete 'at-a-glance' look at all the details of your production.